​The Pacific NorthWest Economic Region (PNWER) is the premier nonpartisan organization bringing together policy makers, non-profits, and business leaders to support the development of our regional economy. ​PNWER offers leadership in Oregon, Washington, Idaho, Montana, Alaska, Alberta, British Columbia, Saskatchewan, the Northwest Territories and Yukon, and at the national level in Washington DC and Ottawa. More information is here. 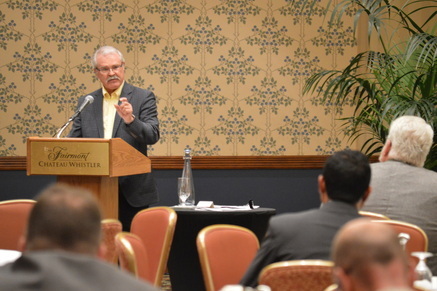 Canada's Agriculture Minister, Gerry Ritz, spoke at the 2014 Annual Summit in Whistler, B.C. In recent years the Agriculture Working Group has contributed to regulatory reform through the Canada-US Regulatory Cooperation Council. The council shares our values for science based regulation in the agriculture sector and continue to advance regulatory alignment and cooperation. In addition to providing input and facilitating discussion on agriculture related topics, the group also began to focus on trade issues and the impacts of NAFTA on the agriculture sector. The importance of trade and benefits of NAFTA are recognized by representatives from agriculture sectors throughout the PNWER region. Working group members urge both the U.S. and Canadian federal governments to proceed quickly with modernizing NAFTA and commit to do no harm to our highly integrated North American agriculture industries. 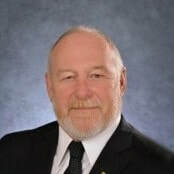 It is important for the U.S. and Canada to work together and take a leadership role internationally on these issues to ensure that plant and animal health restrictions are based on fact, not feeling. These issues include maximum residue levels, low level presence policies and the advancement of science based standards, guidelines and codes of practice adopted by the Codex Alimentarius Commission and the OIE World Organization for Animal Health. The U.S. Department of Agriculture's Foreign Agricultural Service recently released fact sheets for each state on the benefits gained by the U.S.-Mexico-Canada Agreement. Click on the links below to view a specific state.